One of the many double-edged joys of attending a film festival is accounting for one’s limitations as a critic. The challenge of understanding a new movie in relation to its director’s previous work—to name only one method of getting to grips with a movie—has always been compounded by accessibility (who is able to see what and when), and the critical approaches to negotiating it are myriad. While some critics strive toward completism, others seek to contextualize a new work from other perspectives, commenting for instance on the ways in which it expresses or confronts contemporary politics, or the prevailing cultural mood. Reading Jonathan Rosenbaum’s 1995 collection Placing Movies as my plane landed in Berlin this week, I’m increasingly inclined to be upfront about such things, in the belief that it ultimately helps to highlight that seeing or not seeing every other film by a director only matters if it needs to. 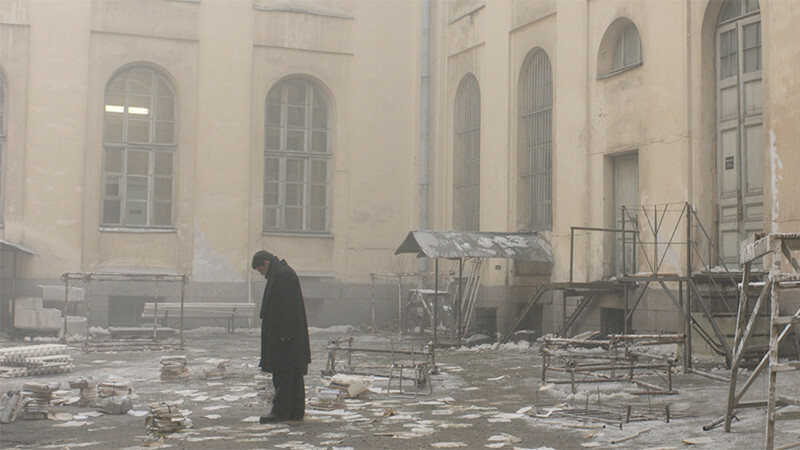 Three movies that have premiered at the 68th Berlinale provide a useful case in point. It’s been more than four years since I’ve seen a new Hong Sangsoo film—time in which the Korean has knocked out seven features. Such a bafflingly prolific output might be intimidating in a climate in which auteurism still prevails, but if any filmography constitutes “riffs on a theme” as an apply-all description, it’s Hong’s. The writer/director’s method and sensibilities pivot around ideas of repetition, with each film taking meaning from the others, returning to old territory in more or less new forms—both across his career, from film to film, and within a single work, where the repetitions provide comic ironies as well as a structural backbone. If “Grass”—unveiled this week in the Berlinale’s reliably well-curated Forum section—sounds and seems like a minor work, it’s because we’ve grown accustomed to judging artistic ambition in terms of duration. Hong’s latest clocks in at 63 minutes and breezily covers the fluctuating interrelations of several patrons—writers who hope to be actors, actors who hope to be writers—of Cafe Idhra, a small coffeeshop located at the end of a narrow alleyway in Seoul’s Jongno District. I mean it as no criticism when I say this newest work feels like the outcome of Hong stitching together outtakes from other films: it’s to his credit, in fact, that “Grass” layers its emotional interplays so cohesively. Are things taking place across a single day? A few weeks? It’s difficult to say. When Hong first cuts from a profile two-shot of customers facing one another to a shot of Areum (Kim Minhee), sitting at her Mac as her internal monologue kicks in through voiceover, we might even begin to interpret the film’s eavesdropped conversations as fictions within a fiction: the embodiment of a writer’s drafts and re-drafts. Working again with cinematographer Kim Hyungkoo, Hong shoots in sharp monochrome: there’s more than a touch, I think, of Resnais’ “Last Year in Marienbad” (1961), still the go-to cinematic benchmark for fluid temporalities. A dreamed-up what-if (“I keep using the same material,” says one character, “I can’t move forward”), or a drunken haze: this being a Hong film, it isn’t long before mikkoli and soju are getting necked. Like some very distant cousin to Hong’s film, Alexey German Jr.’s new feature also teems with writers conversing about their craft and plight—on this occasion, across six days in November 1971. Screening in competition, “Dovlatov” evokes the pervasively banal paranoia of Leningrad under Brezhnev with a certain ease. German’s approach is to frame his dramatization of historical literary and artistic figures like characters resigned to their own fugue state. Chief among them, of course, is Armenian-born Sergey Dovlatov (Serbian actor Milan Marić, who is all kinds of alluringly, low-key terrific), an unpublished novelist who eked out a living as a factory journalist prior to emigrating in 1979—where wider recognition awaited him. Fellow struggling contemporaries include Joseph Brodsky (Arthur Beschastny) and Anatoly Kuznetsov (Anton Shagin). My familiarity with German Jr.’s style is limited to “Under Electric Clouds” (2015), which also premiered in competition here in Berlin, and his hard-to-discern contributions to the completion of his father’s “Hard to Be a God” (2013). Like both of those works, this one operates with a slow-burn attention paid to deliberately placed extras such as a cleaner mopping a floor while the scene’s ostensible point of interest unfolds half-obscured behind her. This, combined with the director’s decision to amplify his actors’ speech, works to suggest a system-wide surveillance culture: hearing a background character’s lines being delivered with the same clarity as those of a foreground character creates a simultaneously expansive and claustrophobic energy. In Hong, it’s the seemingly arbitrary zooms and pans that makes us aware of the film as a constructed, superficial form; with German Jr., it’s the low-key long-takes that drift from one subject to the next like a hungry, curious dog. Would my appreciation of “Dovlatov” deepen with a better understanding of it in relation to its director’s other works as a filmmaker? Hard to say, of course, but whereas Christian Petzold’s last couple of movies—“Barbara” (2012) and “Phoenix” (2014)—left me cold when they first premiered, I feel like discovering the German’s brilliant theatrical debut “The State I Am In” (2000) last year put me in good stead with regard to admiring his latest offering. Adapted from Anna Seghers’ 1942 novel, “Transit” is a fast-moving refugee drama mostly set in Marseille. With a twist: Petzold’s screen version, also in competition, unfolds as an unfussy, color-saturated present-day thriller, with scant reference to the source material’s historical setting. Or does it? At the time of writing, I’m recalling a film here that audaciously resists specifics at the same time at which it evokes nothing but them: like main characters Georg (Franz Rogowski), Marie (Paula Beer) and Richard (Godehard Giese), the film as a whole finds itself in some undistinguished netherworld predicated at once on intimacy/trust and anonymity/distance. Besides the practical and budgetary advantage of such an approach, it also makes for some thrillingly tense moments, many of them relating to sound (the chime above a cafeteria’s door, approaching police sirens, the slam of a car door just outside of an apartment, etc). That the entire affair is narrated by a secondary character only further enriches the slippery nature of the storytelling at play. Petzold is no stranger to telling stories that flesh their skeletons out on a need-to-know basis—but here the suggestive, sun-drenched delirium takes on almost abstract qualities. It feels like an apocalyptic allegory, and yet the fiction is far from fanciful. Georg, in flight from occupying forces in Paris, takes a freight train to Marseille, where he adopts the identity of the man in his care after he dies from a gangrene infection en route. It’s only the first instance of many when it comes to mixing identities: others follow, some being accidental and some not. A kind of infinite regress results—a riff on displacement and deferral, of denying demons any way one can. At points, Petzold seems to be consciously returning to themes established in “Phoenix”; when we first see Paula Beer’s Marie, in fact, we might be forgiven for mistaking her for Petzold’s regular muse Nina Hoss. It’s a fleeting, Hitchcockian rear-view. We buy the idea that Rogowski falls for her immediately. While doppelgangers and couplings are often a source of verbal and visual comedy in film—it’s the primary narrative device of Lubitsch’s “To Be or Not to Be” (1942)—“Transit” persists upon a richly intoned melancholy that somehow takes much meaning from Hans Fromm’s refreshingly dense color palette. 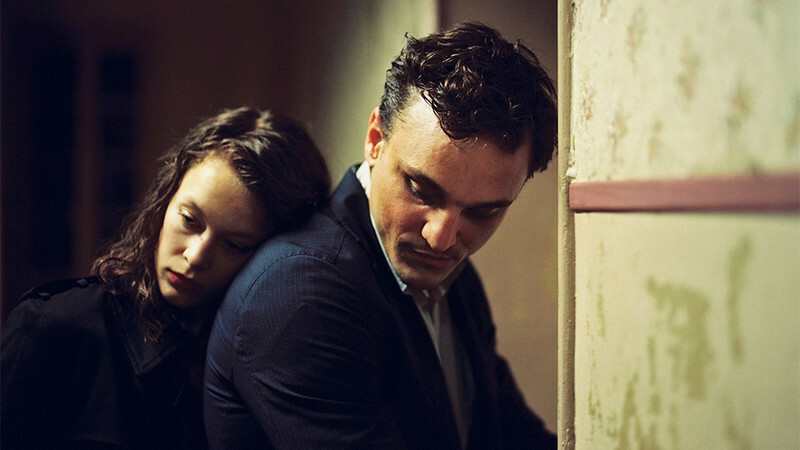 Indeed, I read Petzold’s eschewal of the clichéd tendency to desaturate anything remotely pensive about Where We Are as a race—in stark contrast, in fact, to the earthy but nevertheless too-clean look of “Dovlatov”—as more evidence of his confidence and skill as a director. I might see it again before the week is over.